RGA stands for Reinsurance Group of America. Reinsurance is insurance bought by other insurance providers to help improve their risk management. Being a reinsurance company RGA does not sell health insurance; however, health insurance policies are among the type of group plans supported by RGA Reinsurance. With assets of $30.7 billion, RGA is the second largest life reinsurance company in North America and the third largest in the world. It is based in St. Louis, Missouri, and has several offices around the world. Find a company that sells personal or group health insurance plans in your local area. Click here and enter your zip code for a list of plans and rate quotes from several providers. RGA was founded in 1973 as General American Reinsurance, a division of General American Life Insurance Company. That same year an office opened in Canada and the company became an international reinsurance company. Reinsurance Group of America stock began to trade publicly in 1993. In 2000, MetLife acquired General American and its subsidiaries. Most recently, in 2008, RGA split from MetLife and became an independent reinsurance company. 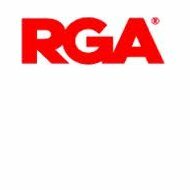 If you wish to contact RGA Insurance for additional information, you can call or write to their corporate headquarters outside of St. Louis, Missouri. Information regarding their Canadian office or other offices around the world can be found online. RGA, while not accredited or rated by the Better Business Bureau, due to insufficient information having been provided, also does not have any complaints filed against it with the BBB. This information can be found at www.bbb.org. Reinsurance Group of America supports several charities and initiatives to help improve the communities in which they are located. They support these through providing employees as volunteers and making financial donations. A recent initiative the company supported was earthquake and tsunami relief for Japan. If you are interested in applying for a position, you can find instructions to upload a resume and apply online. Find a company that sells affordable health insurance near you. Click here and enter your zip code for a list of health insurance quotes from several companies.